The ruling Justice and Development Party (AK Party) is seeking a do-over of the mayoral election in Turkey's biggest city Istanbul, and will make an extraordinary appeal to the Supreme Election Council (YSK) regarding irregularities in Büyükçekmece, the party deputy chairman said Tuesday. In a press conference held early Tuesday afternoon, AK Party Deputy Chairman Ali Ihsan Yavuz said the party will be making an extraordinary appeal to the YSK regarding alleged irregularities in Büyükçekmece and demand the vote in Istanbul to be held again. YSK on Monday partially rejected an appeal by the AK Party to recount all votes in Istanbul except for 51 ballot boxes in 21 districts. Recep Özel, the AK Party's representative on the election board, told reporters that his party's appeal to cancel the election results in the city's Büyükçekmece district will be decided by the council Tuesday. The party is calling for a repeat of elections in the district, alleging "organized irregularities." Özel said the party will continue its legal efforts to contest the elections in Istanbul. YSK head Sadi Güven said Tuesday morning that the judicial process is continuing for the mayoral election, adding that he will not release any information on petitions, demands, and objections being currently considered. Police launched an operation Tuesday morning on the allegation that 11,186 people moved their addresses to Büyükçekmece before the March 31 local elections. The AK Party Büyükçekmece district organization previously applied to the local election board alleging that 21,000 fake voters had been registered in the district during the process to update voters lists in the run-up to the elections. The application petition noted that a district registry office personnel and another person, a namesake and relative of the district's longtime mayor Republican People's Party's (CHP) Hasan Akgün, had been arrested for irregularly registering voters by fabricating documents on behalf of Akgün. A judicial investigation launched by the Büyükçekmece Public Prosecutor's Office is ongoing, in addition to an administrative inquiry by the district governorate, it added. 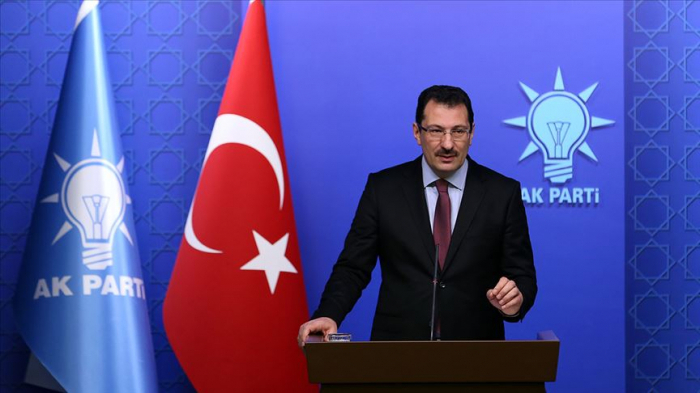 In a press conference on Tuesday, CHP Spokesperson and Tekirdağ deputy Faik Öztrak said that the number of voters in Büyükçekmece only increased from 172,351 in June 24, 2018, presidential elections to 174,773 in March 31 local elections, adding that 760 of these are young voters who were registered for the first time. Öztrak said the allegations of mass voter fraud are baseless and accused the AK Party Istanbul provincial organization of failing to act in time against YSK's voter lists, which cannot be appealed after they are announced. "Some 96 percent of the invalid votes have been counted. Ekrem Imamoğlu leads by 14,532 votes. His mandate should be handed over," he added. CHP Deputy Chairman Muharrem Erkek also said in a series of tweets that the suspect mentioned in AK Party's petition was arrested on Jan. 18 and the lists became certain on Jan. 31. During the appeal process, both the AK Party and the CHP appealed against some 3,000 voters and the local board suspended 745 of these including 354 voters registered by the suspect, Erkek wrote, adding that the difference in the number of voters between the elections is 2,310, including 760 young voters. President Recep Tayyip Erdoğan raised concerns about "organized interference" in the Istanbul elections earlier on Monday. "We, as the political party, have detected organized crime and some organized activities," Erdoğan told reporters ahead of his departure from Istanbul for Moscow.